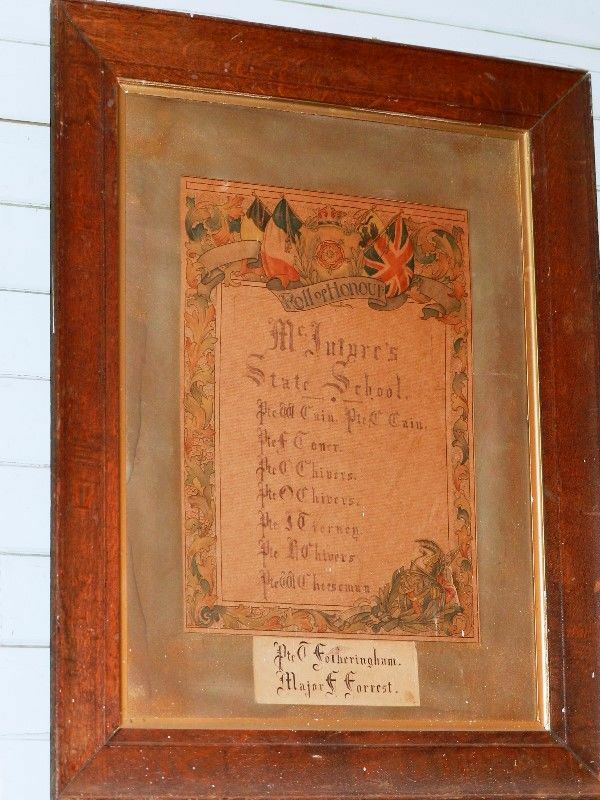 A hand printed framed honour roll commemorates former students of the school who served in World War One. The honour roll was unveiled at the Rheola School in 1918. The unveiling of the Rheola and McIntyres schools' honor roll will be performed at Rheola at 3 p.m. on Friday. Mr I. J. Weaver, M.L.A., will officiate, and addresses will be delivered by various district speakers. Inglewood Advertiser (VIC), 5 November 1918.